An underground hidden gem situated in the Old Town district of Budva. With an intimate yet electric atmosphere and free flowing jazz, Casper Bar provides the perfect opportunity to wind down. During the day Casper operates as a bistro restaurant with a very relaxed vibe, serving a limited selection of food at an affordable price; the humus and pita bread is a popular snack. At nightfall the bistro converts into a popular bar with seating primarily outdoors; the place is more of a garden café with an earthy feel to it. Watch the passers-by with a cold drink for an ambient night under the stars. Playing a variety of music from fresh new jazz, house, hip hop and R&B you can be sure that the atmosphere is always buzzing. Casper hosts a jazz festival called the Jazz Summit from the 1st to the 15th September, during which the garden will be filled with the ambient sound of soulful jazz sessions night after night. The bar offers some delicious, and reasonably priced, fresh cocktails. Casper is particularly known for its Mojito's, home brewed Rakija (national spirit ) and beer. For an enjoyable non-tourist spot Casper is for you. With a prevailing Mediterranean feel the bar is the perfect place to relax after a hard day shopping, or sightseeing with a drink under the lemon trees in the glowing light with some stylish music playing in the background. 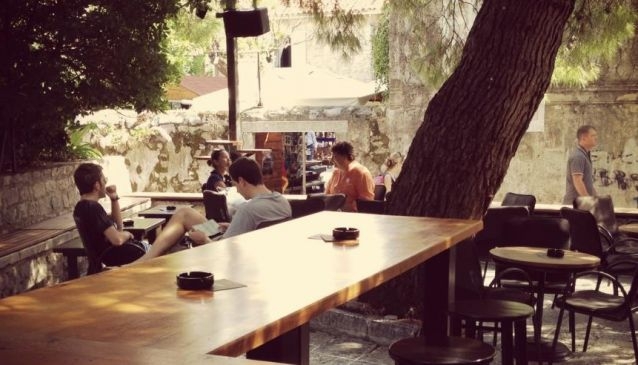 Caffe Floyd is relatively new caffe in Niksic, but in short time they became one of the most popular choices for Niksic's vibrant nightlife.